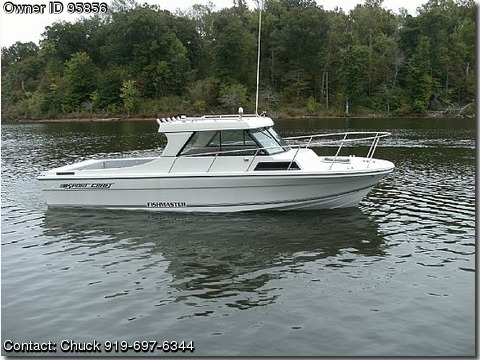 Call Boat Owner Chuck 919-697-6344.
and switches. live well and wash down pump. gone through, carb rebuilt and new water pump. GPS Chart Plotter.Hummingbird Fishfinder, Clarion AM/FM CD stereo.